Bed Push Parade – Pics! 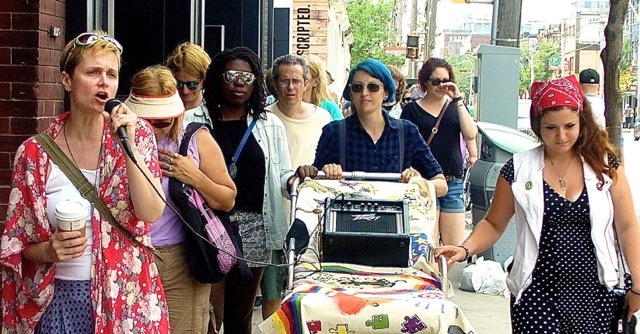 In July 2015, Mad people pushed a bed into a better future. A Mad Stretcher symbolizing a movement from hospital to community. 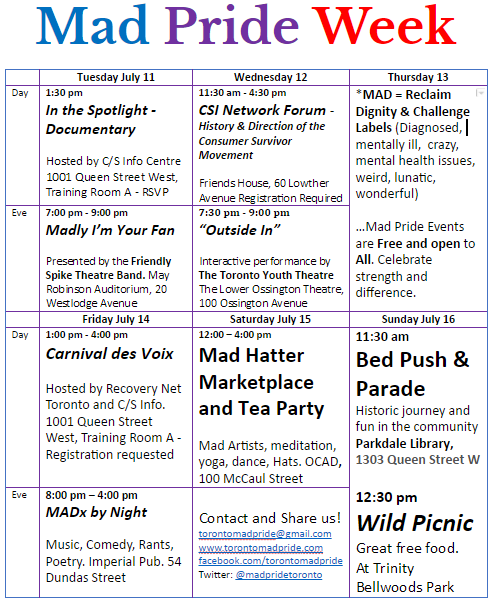 Join the Bed Push / Mad Pride parade in 2016. From Parkdale to Trinity Bellwoods Park, allies advocates and straight-up Mad people spread messages of empowerment, hope and celebration. Enjoy some of these photos and send us some more. Check out the NEW MAD Pride Site.